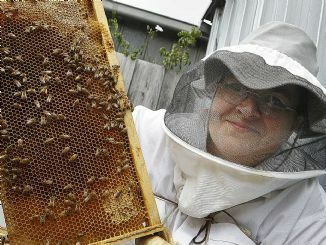 This story (and the above picture) from the Dandenong Leader reminds us of our responsibilities (and rights) as urban beekeepers. Following the (Vic) Beekeeping Code of Practice and regulations, we should be able to minimise any risks - or, perhaps even more importantly, the perception of any risk - to our neighbours and the general community. As beekeepers, we understand how docile and safe bees are when handled appropriately. Not everyone shares our understanding or passion. Part of being a beekeeper in urban areas is to help raise awareness in the general public. 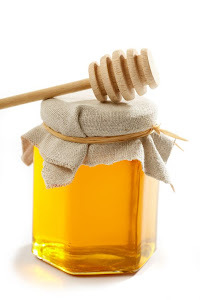 In Natural Beekeeping we talk a lot about being 'bee-friendly' and focussing on their needs. But this should not be construed as considering humans/community as a secondary issue. Indeed many of us keep bees in order to contribute to society. Perhaps we should clarify that we prioritise the living needs of the bee above the convenience of the beekeeper! The article mentions 'swarming bees' as a nuisanse. We do need to make the distinction between a 'swarm of bees' and 'bees going about their daily business'. Swarms occur in spring to early summer when the colony decides to reproduce by splitting itself into two parts. One stays at home and continues life in the hive (or wild/feral nest) with a new queen and the other sets off with the old queen to found a new colony. This involves maybe 30 minutes of action where 1,000's of bees exit the hive and congregate in a cluster on (usually) a tree branch. From here from they scout for a new home and fly to it within hours or a few days. Daily business for bees is much lower key affair with bees busily to-ing and fro-ing - usually above head height if the hive is appropriately positioned. 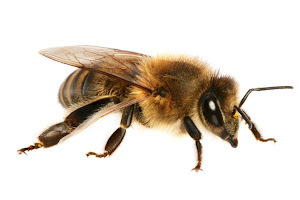 During swarming, bees do not naturally present a threat to other animals (including humans). In fact they are extremely docile during this time. They have no nest to defend. If we leave them alone, they won't bother us. Of course, it looks scary if you don't understand what's going on. 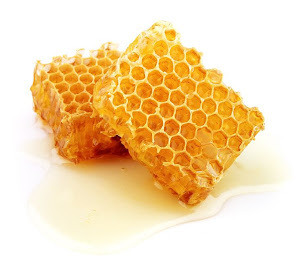 Swarming is a natural insinct in the bees which we can attempt to manage, but the urge cannot be prevented. As urban beekeepers, one of our prime responsibilities to our neighbours is to attempt to reducing swarming. We do need to keep these things in mind and be 'good citizens'.